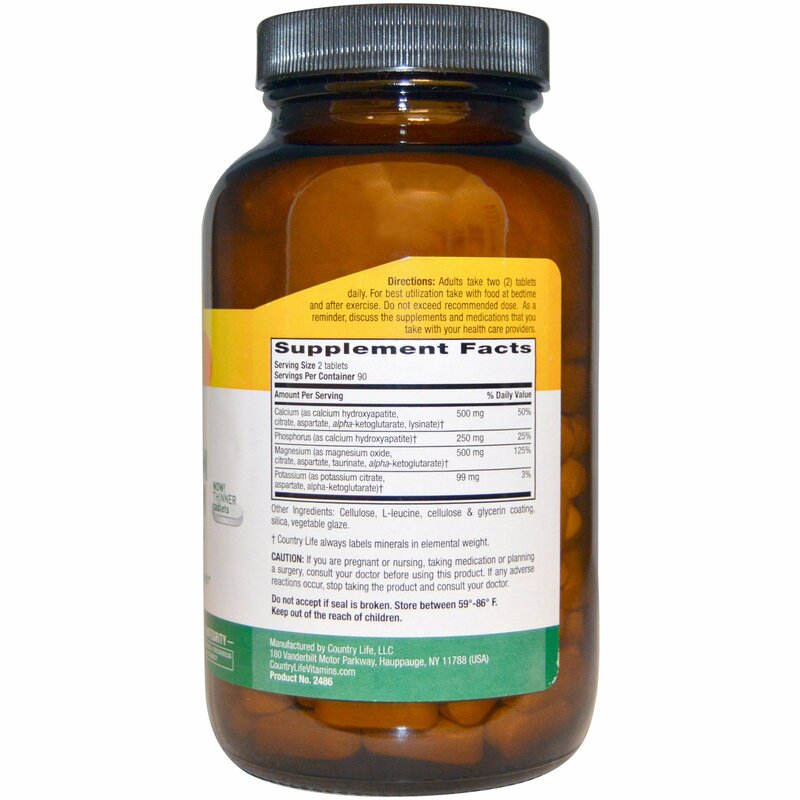 Target-Mins are made with specific free-form amino acids and uses a calcium:phosphorus ratio of 2:1 to support calcium utilization. 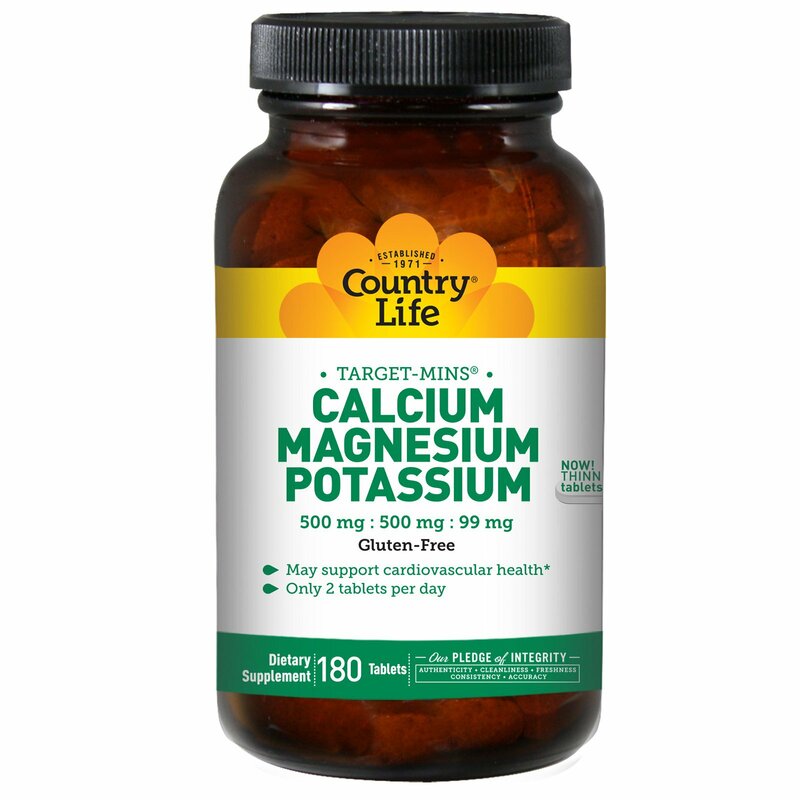 The magnesium and potassium have been added to support cardiovascular health. Adequate calcium as part of a healthful diet, along with exercise, may reduce the risk of osteoporosis later in life. Adults take two (2) tablets daily. For best utilization take with food at bedtime and after exercise. Do not exceed recommended dose. As a reminder, discuss the supplements and medications that you take with your health care providers. Cellulose, l-leucine, cellulose & glycerin coating, silica, vegetable glaze. †Country Life always labels minerals in elemental weight.